You will not find plastic on an ICON4x4. You will not﻿ find cheap adhesives, faux chrome. 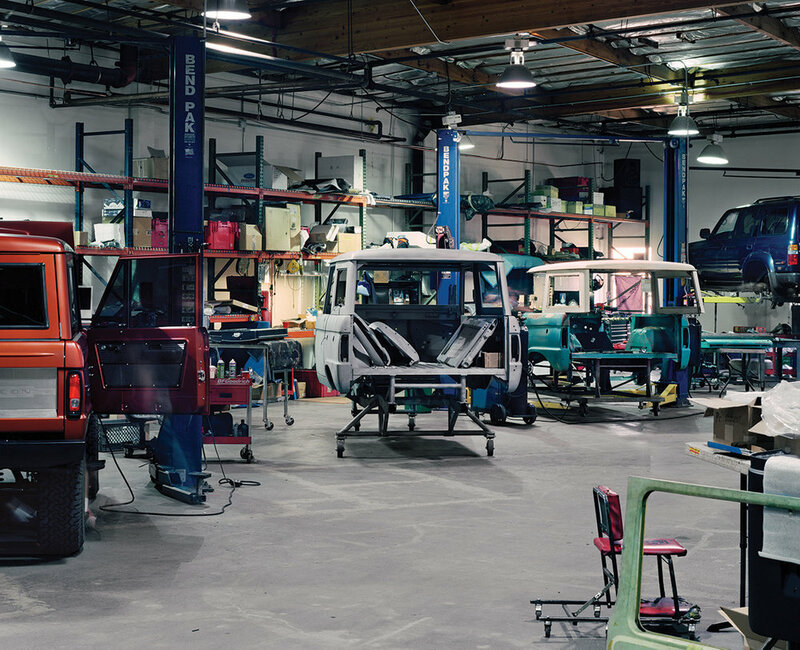 If a truck enters the ICON shop, on a busy road in Van Nuys, California, every detail will be inspected from an epicure’s perspective: every part, every ground effect, fairing, fender, light trim, every dial on the dashboard is scrutinized by ICON’s Jonathan Ward. If the rub-rail on a just-out-of-the-factory Mercedes G wagon is made from shiny, lightweight and very (cost-conscious) plastic, it is removed and reconsidered. A bespoke stainless steel replacement is then hand-shaped in the shop and affixed to the sheet metal panels with such precision it will stay there longer than humans will walk the earth. Jonathan Ward, the affable, exacting artist and ICON4x4 founder who runs virtually every aspect of the verging-on-legendary ICON shop will personally attend to this rub-rail. He will not rest until each car is perfect. "The watch industry is a very interesting parallel in that none of us need watches anymore," Ward has said. "The secret to them succeeding and prospering and furthering their design efforts in the modern market are in the execution – making the execution distinct and purposeful and bespoke. We are trying to take that unnecessary ethic from other industries and evolve it into niche transportation." Niche indeed. 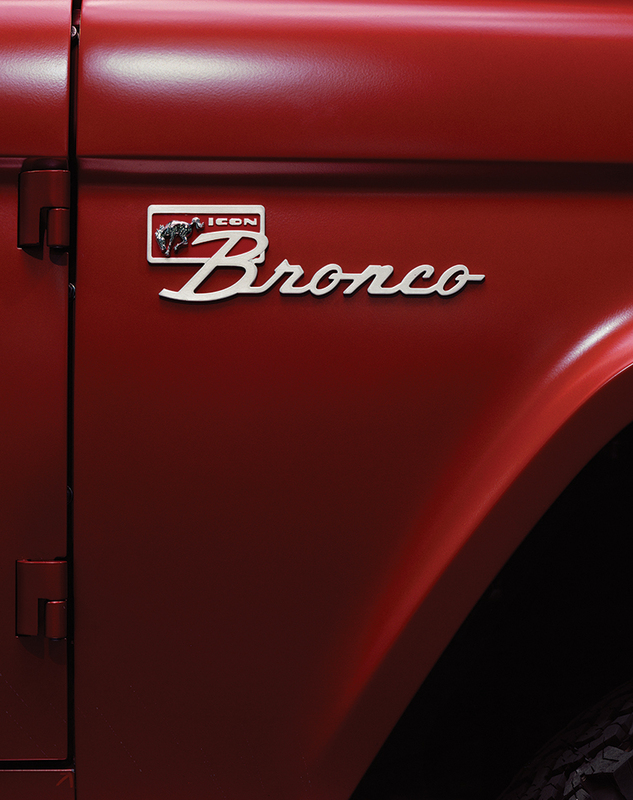 Take his ICON Bronco, the truck that launched Ward’s shop. Ward had worked as a consultant with Toyota on the development of another resurrected (albeit mass-market) prestige model, the FJ Cruiser. 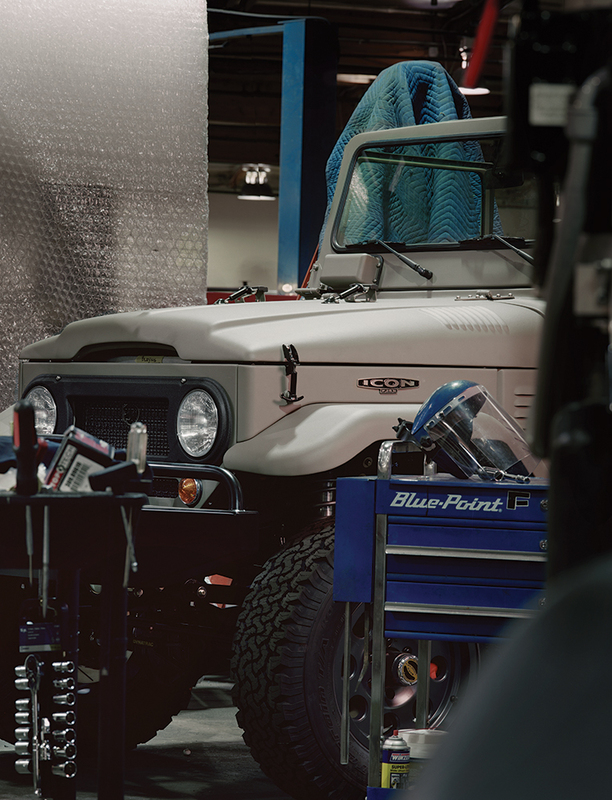 After spending some time reworking the FJ, he decided he wanted to do his own build on the classic 1966 Bronco. He wasn’t happy with the ride or feel of the vintage platform, but he loved the overall aesthetic. So he decided to rebuild it from the inside, and leave the character of the exterior intact. The result is a one-off prototype, a technological dynamo hidden inside a truck that fills the hearts of all American men with adolescent lust. He decided to rebuild it from the inside, and leave the character of the exterior intact. The result is a one-off prototype, a technological dynamo hidden inside a truck that fills the hearts of all American men with adolescent lust. The design elements are laser-cut, lightweight, and entirely custom-made. 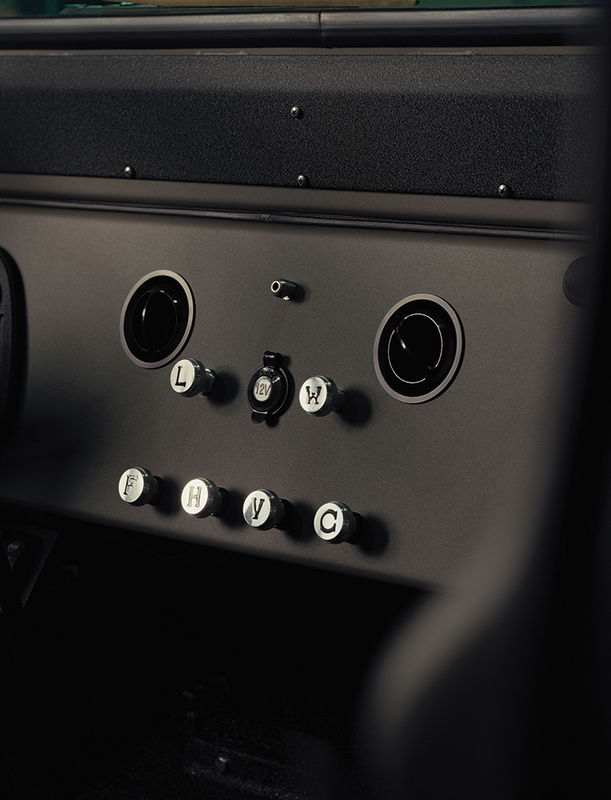 The knobs and bezels of the interior are hand cut stainless steel. The custom chassis has Eibach springs and Fox racing shocks. The engine is a Coyote V-8 plucked from the Mustang GT – it kicks out a respectable 412 brake horsepower. And of course the price is as princely as the audience would demand: $150,000 for the Icon Bronco (that’s about $21,000 in 1966). 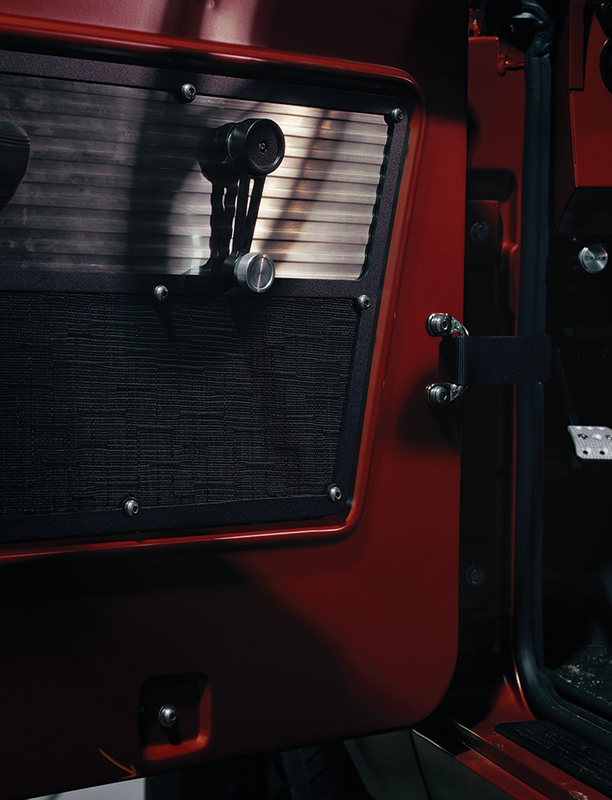 The Mercedes G Wagon that Ward recently finished was a less intensive build, but one with the same almost Eastern attention to detail: Ward press broke new rocker panels and running boards in a lightweight, silicon based material; the grilles on the fenders are handcrafted out of tapered stainless strips. The headlights have LED diode inserts.